While we all may strive to be as productive as possible, at the end of a day we often feel like we should have achieved more, or could have spent our time in a better way. “The Productivity Habits: A Simple Approach to Become More Productive” aims to get the reader to focus on how they manage their time, process information, and prioritize tasks, and suggests eight techniques which can help you to become more organized and efficient. Most of us will admit that there are times when we just don’t know where to start or what to do first due to the sheer volume of tasks that we believe need our attention. As a result, it can feel like we are getting no where as we waste much time switching our attention from one thing to another. Additionally, we often have a tendency to carry out what the author describes as “fake work” such as constantly checking for emails. “The Productivity Habits” discusses eight habits/processes that can be used to help us to spend our time more efficiently. It looks at the limitations of our mind and what we can do to help become more efficient. It contains ideas on how to follow a more disciplined approach to the way we gather and store information and how and we allocate our time to carryout related tasks. Much of what is contained within “The Productivity Habits” is common sense. But it requires discipline to use and stay with the techniques put forward. Outlined are consistent but manageable solutions which will allow you to focus on what is important, and how to store the lesser important, but potentially useful information, for future use and at a more suitable time. Ben Elijah (@inkandben) is based in London and freely admits that, in his youth, he had a tendency to procrastinate and was unable to multitask effectively. He has overcome these common problems and is now a trainer, consultant and writer in the field of creating strategies to increase productivity and personal effectiveness. Many books have been written on efficiency and time management. “The Productivity Habits” takes a slightly different view on how we are able to become more effective in our work. 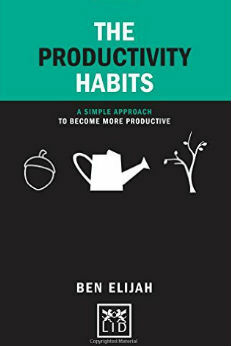 Rather than being a book which lists a variety of tools and techniques that can be used to be more productive; rather it prompts the reader to look at how they work, and suggests forming efficient habits so that you create order rather than chaos. The book is very general in that it does not look at being more efficient in a particular type of work environment. This may sound less useful, but might actually be more beneficial as it forces the reader to look at the ways that they are working and how they could apply the recommended habits to their own situation. “The Productivity Habits” contains diagrams and work flows to highlight many of the points that the author is making. Personally I found them to be slightly overused. However, if you are someone who benefits and learns better through visuals, then you may find them quite helpful. Not only is life today more hectic than ever, advances in technology have also caused us to be bombarded with even more potentially useful information. Some of the information can be usefully used at some point in time, some needs to be acted on immediately, while other information may be totally redundant. Yet, we still need to determine how and whether to capture and process this information and this task in itself can be both distracting and overwhelming. “The Productivity Habits” is an ideal read for anyone who feels inundated with information and tasks that they need to do, and want to find a better way to manage their time and priorities. The book provides eight thought provoking ideas on how to be better organized, to improve on your ability to prioritize, and to be able to retain a variety of information so that it is not lost and can be used at a more appropriate time. Airtel on Thursday announced ‘Happy Hours’ for its prepaid customers that will offer them 50 percent data back for all in-app content downloads done between 3am and 5am. In order to execute this offer, Airtel has encouraged developers to integrate the option of scheduling the time for downloads within their apps. Happy Hours is available to all Airtel prepaid customers by default and does not require an opt-in. Users will benefit on downloading non-urgent in-app content like videos, photos, and music albums as they will receive half of the total data spent on downloads between the given times. For Example, if you schedule a music album download with size 200MB, you will be credited back with 100MB of data. Airtel has provided a free API to developers for them to integrate the download schedule mechanism, potentially thwarting net neutrality contentions. “Any App developer can integrate with Airtel Happy Hours in four simple steps and give their users the option to automatically schedule downloads between 3.00am and 5.00am so their users get 50 percent data back on downloads,” the company said in an emailed statement. As of now, YouTube and FastFilmz have already integrated the option and other apps are likely to follow, Airtel said. 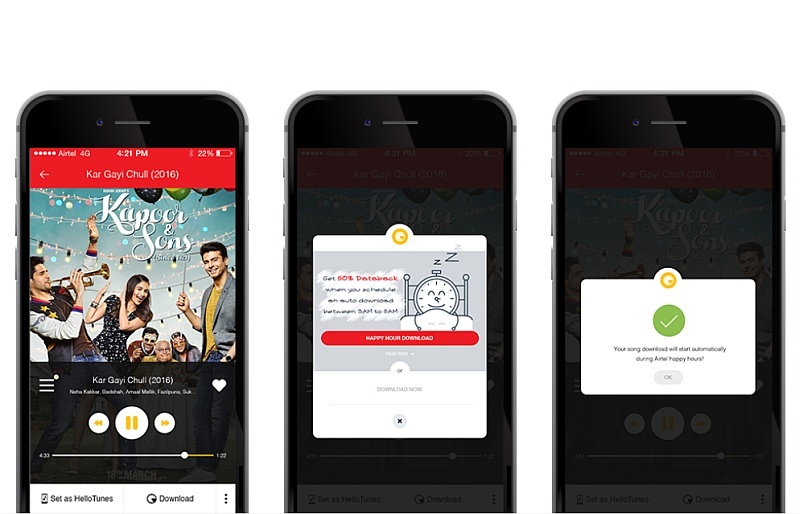 In order to access this feature, all that an Airtel prepaid customer needs to do inside YouTube app is choose the Smart Offline option on their chosen video and select ‘Save overnight with Airtel Happy Hours’ option to download the video between 3.00am and 5.00am and receive 50 percent of data back. Interestingly, the company said that it hopes that this new feature will have a positive impact on the overall network experience during the day/peak-hours as ‘Happy Hours’ might help shift some of the non-urgent data traffic to non-peak hours and help reduce congestion. Mercury may be seen through telescopes as a black dot inching over the face of our megastar, offering a celestial spectacle in an effort to Closing seven and a half of hours. PARIS, FRANCE: Astronomers on Monday had been getting ready for one of the highlights of the skywatchers’ year, while the Sun, Mercury and Earth all line up — a phenomenon that occurs just a dozen or so instances in keeping with century. Mercury will be visible thru telescopes as a black dot inching over the face of our big name, supplying a celestial spectacle — climate allowing — with the intention to Final seven and a 1/2 hours. “At the start, Mercury will look as though it’s far nibbling at the brink of the Solar, and then It will very slowly pass its floor and depart the alternative facet,” stated Pascal Descamps of the Paris Observatory. The smallest acknowledged planet inside the Solar Device, Mercury completes an orbit each 88 days, and passes among the Earth and the Solar each 116 days. However its orbit is tilted with regards to Earth’s, which means that it usually seems — from ourperspective — to bypass above or below the Sun. Thirteen instances each century, however, the 2 orbits align such that even beginner astronomers can see the tiny planet tens of tens of millions of kilometres (miles) away. In keeping with Britain’s Royal Astronomical Society (RAS), maximum of Western Europe, the westernelements of North and West Africa, jap North America, and maximum of South The united states might beable to view the whole transit, as a way to Last from 1112 GMT to 1842 GMT. The relaxation of north and south The united states, the jap Pacific, the the rest of Africa and most of Asia, will see components of the occasion. Observers in east and southeast Asia and Australasia, but, will miss out totally. The closest planet to the Sun and a 3rd the size of Earth, Mercury is one of the Sun Machine‘s curiosities. it’s miles one of the four rocky planets of the internal Solar Gadget But has no environment and its metalframe is scarred by using collisions from space rocks. Sunlight hours on Mercury is six instances warmer than the hottest area on the planet, and middle of the night can be more than twice as bloodless as the coldest place on our planet. It rotates so slowly — three times for every two orbits — that, bizarrely, Mercury’s day is twice so long as itsyr. 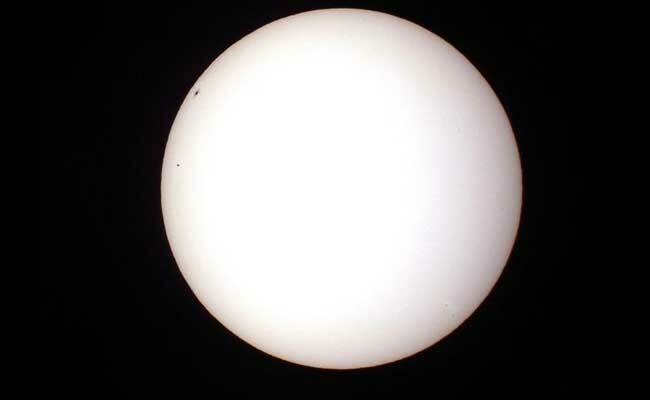 The transit of Mercury was first recorded by means of French astronomer Pierre Gassendi. He determined itvia a telescope in 1631, two a long time after the tool became invented. German astronomer Johannes Kepler had successfully predicted that transit, However died in 1630 beforehe should witness the occasion. The Final Mercury lineup became 10 years ago, and the subsequent will be in 2019, followed through2032 and 2049. But be warned: looking at once At the phenomenon can result in everlasting eye damage, as only a totally small part of the Solar will be blocked out. One alternative is to apply a telescope or binoculars to mission the image onto a white surface. Stargazersalso can examine the event via a telescope with a strong filter or — most correctly of all — on theInternet.